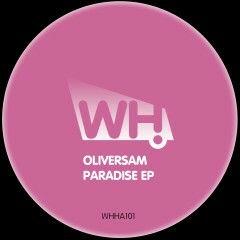 Oliversam is one of the new breed of Spanish producers making waves within the house music community at the moment. He is the label owner of Kimbo Records and Kimbouse Records but also had his music released on great labels such as Waldliebe Familien, Inexplicable, Alma Soul Music and Shibiza Recordings. His new Paradise EP takes him one step closer to the stars. He brings us three quality tracks showing his versatile style with a fine mix of beats and melodies destined for the floors.